KG children of MRIS, Noida learnt the concept of measurement through an interesting activity. Glitter tapes of different sizes were pasted on the tables and the children very meticulously measured them using tape and scale. 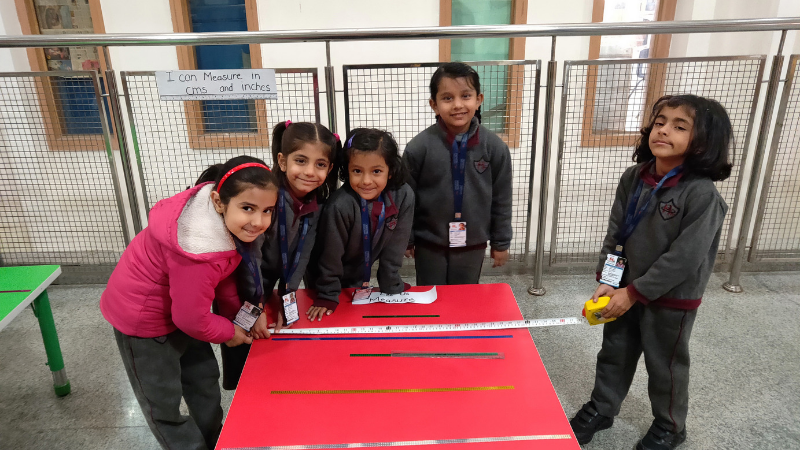 Children were explained how to measure different objects using the scale and the inch tape respectively and were also told the difference between inches and centimeters. They documented the length in their sheets. It was a delight to watch the children using terms like longer, shorter, smallest, longest, etc. They also learnt many new mathematical terms like inches, centimeters, length, inch tape, measure, etc.